OUR MISSION To deliver effective Pop Up workshops and presentations on the fundamentals & impact of bullying aligned with the National Common Core standard practices. As a result, decrease overall bullying while restoring a positive & safe culture for our kids in School & communities. 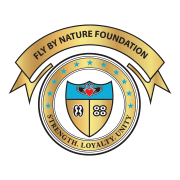 Fly By Nature Foundation ("Fly By Nature") is an 501(c)(3) organization dedicated to restoring safe and positive school and community environments for youth in the District of Columbia. Through school based workshops and community events, Fly By Nature builds youths’ self-esteem and resilience, equips youth with tools for non-violent communication, and provides leadership and dispute resolution training so youth can make change in their school and communities. Since 2017, Fly By Nature has engaged with over 2,000 youth through pop-up workshops and community events. Fly By Nature has carefully crafted an 8-week Anti-Bullying Program aligned with the best practices in Social Emotional Learning and the Common Core Standards. FLY BY NATURE FOUNDATION accepts donations. Donate Now. Would you recommend FLY BY NATURE FOUNDATION?